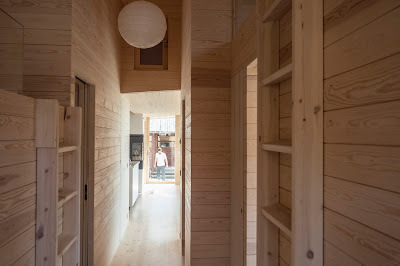 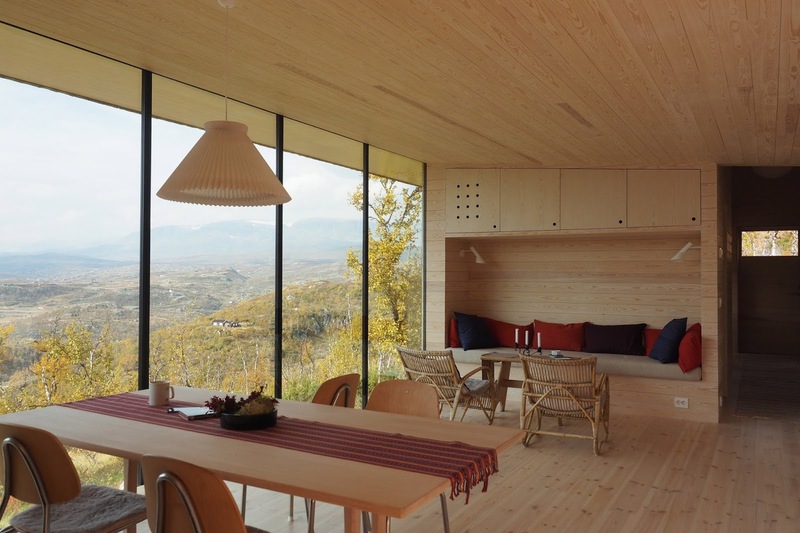 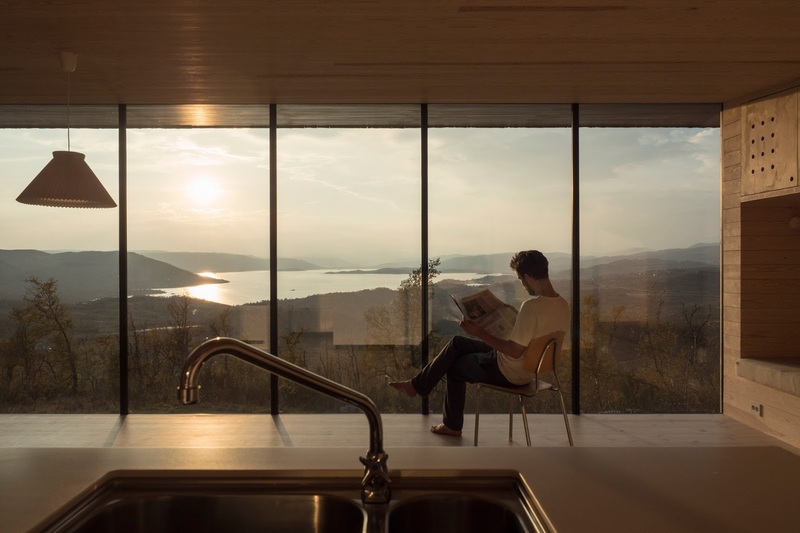 Pine-clad cabin in rural Norway with mountain and lake views. 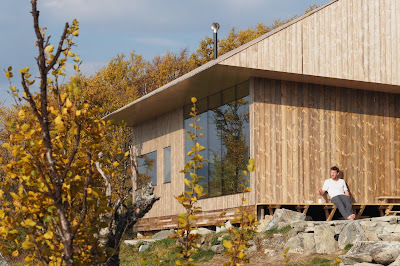 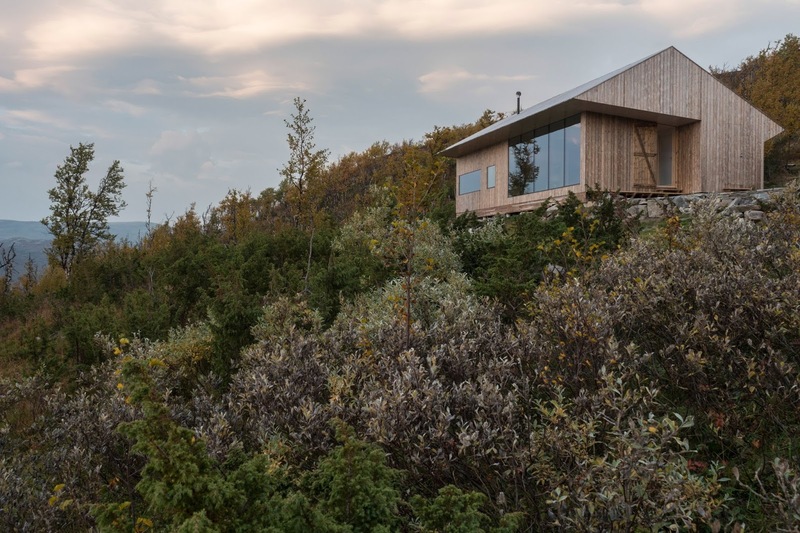 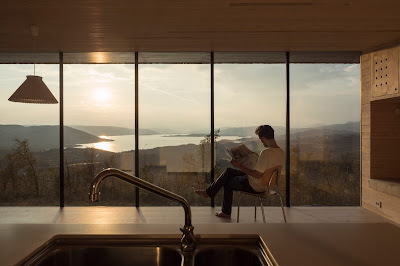 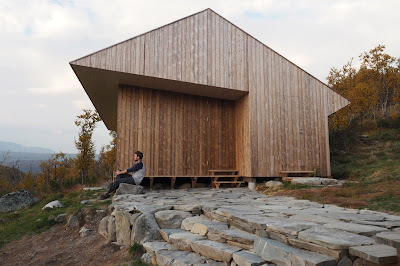 Located between Oslo and Bergen, the cabin named Hytte Ustaoset is situated 1,066 metres above sea level at the foot of Hardangervidda – one of the largest mountain plateaus of its kind in Europe. Oslo-based Aarhus, wanted to make the most out of views from the house towards a lake in the plateau, as well as ensuring that the structure sits well within its natural environment.